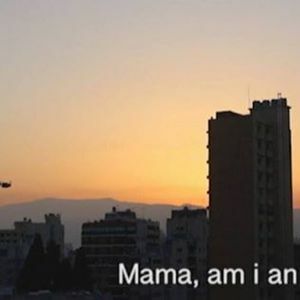 With films by Karima Al Gelany, Rana ElNemr, Maha Maamoun, Jasmina Metwaly, Heather M. O’Brien, Lee Anne Schmitt, Rania Stephan, Noor Tannir, and Katrin Winkler. Following the screening, there will be a short discussion with the participating artists and filmmakers, moderated by curator and writer Juli Carson. How do we make sense of the polemical term “essay film” as well as the phrase “double helix,” an expression coined by the late filmmaker Harun Farocki? Since the 1960s, artists have explored the narrative enigmas of the film essay. Still photography – cinema's ghostly parent – was eclipsed by the medium of film, but also set free. The rise of the moving image also obliged photography to make a virtue of its own stillness. Perhaps the essay film envied the simplicity, lightness, and precision of photography, and, as Chris Marker showed us in La Jetée (1962), it would be possible to create a compelling science-fiction film composed almost entirely of black-and-white photographs. But what is a film essay today, in our contemporary moment of fleeting images? Is it a portrait, a conversation, a political statement, a question? To ponder this, we look at frames made by four generations of moving-image makers – born in years ranging from the 1960s to the 1990s – this constellation of artists aim to challenge the traditional notion of the essay film in spaces ranging from Beirut to Cairo, Namibia to Detroit. An iconic scene from Chris Marker’s film La Jetée (1962) of a man traveling back in time in post-apocalyptic Paris is re-enacted here in a deserted building in contemporary Egypt. The reading of an excerpt from The Revolution of 2053: The Beginning (2007), an Arabic-language science fiction novel by Egyptian author Mahmoud Osman has been dubbed over the photographic sequence. The artist created the video a year before the revolution of 2011 that toppled former president Hosni Mubarak. The afterlife of 2026 in the Egyptian political context lends an additional resonance to a work already meditating on the nature of memory, teleology, and cause and effect relations. Viewed today, the video appears to foretell real-world events, while returning us to the present-time of its production on the eve of a revolution by narrating a scene set on the threshold of fictional revolution. Images of the city (Beirut) are overlaid with the­­ – distorted – voice of the British philosopher Alan Watts as he poses questions regarding the value of our being in relation the surrounding reality. The film deals with the value – not of our being – but of the process of questioning itself. With Beirut as a backdrop, a young writer, Noor Tannir, recalls her first memory growing up in the city. 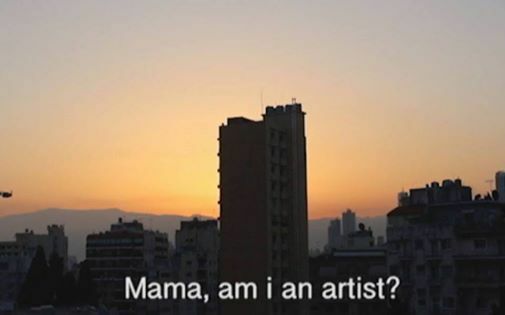 The film weaves through the quotidian light of an old house in Hamra and asks questions about the place from which one speaks. In pondering dual gazes – interviewer/interviewee, teacher/student – the ground of positioning is called into question. A dyad narrative attempts to unravel through a singular testimony. Power Cut is a short confessional that is centralized at everyday existentialism. The naivety of the piece conjures a series of questions of reassurance. At the crux of confusion and transition, Power Cut offers a space in which the author can belong, reminiscent of a three-hour electricity cut in Beirut, where the author finds themselves unplugged, stripped down, thirsty for reassurance, and fairly curious. In the summer of 2015, Lebanon faced a sudden and surreal garbage crisis that lasted over six months. The government’s incompetence put the people and environment at serious risk. The leaders preferred to postpone taking any action or decision until they could benefit from the solution and agree on a way to divide up the spoils. The face of their callous corruption was revealed in full. Mountains of garbage covered the streets, rivers, sea, and mountains themselves. Citizens took to the streets; large demonstrations lasted over six months. What started as joyful, inventive, and gregarious gatherings was crushed by force and infiltration. Lassitude crept in as internal divisions weakened the protest movement. Today, the solution to the garbage problem is still temporary. And nobody has taken responsibility for the mismanagement of the crisis, taking a heavy toll on the land and the population. This work captures the last of these demonstrations. It’s an attempt to understand how bodies form in a space of contestation. How they organize and dissipate, take on singularity then disappear again. A pretext to interrogate the idea of our fleeting victories and enduring defeats. A film essay about the relationship between the image, the spectacle, and the spectator, the narrative is built around Mohamed Mahmoud Street in Cairo and the battle that happened there between the protesters and the riot police in 2011. The film speaks about the aftermath of an event creating a third reality for an understanding of what happened. It is not the street, the TV screen, but the reality of an abstracted space, such as a museum that allows for a different reflection of a story that by itself creates a new form of representation. This story is about how political images are turned into spectacles of the reality and how representation fails to go beyond its nature. It is also about an attempt to become an active participant in the event and the fear of touching the unknown. In the aftermath, we all become the spectators. Located behind “The Egyptian Olympic Centre,” on the amorphous line separating the upper middle class neighborhood of New Maadi and the Arab Al-Basateen informal area, “The Olympic Centre Garden” has come to replace “Al-Ahram Coop Complex,” which burned down completely in May 2007. The circumstances surrounding the fire were described then in Al-Gomhureya newspaper as “mysterious.” Less mysterious accounts of the story still circulate amongst the residents of the surrounding area who are fathoming the nature of the new space in transience – a front-yard, a backyard, grass to grow, image to conserve. This work, when shown in an installation context, consists of three-channel still-image loops with sound and text. The slow paced loops follow three different logics and aspects of the space, its physical appearance, its actual use, its location and historic context, the power dynamics that happen within such a fragile space, and the projections, aims and dreams of people who use the space. performing monuments is a continuation of the project towards memory which is also dealing visually with the consequences and (in)visibilities of Genocide, Apartheid and Racism in Namibia. This essay film looks closely at some of the nowadays commemorations to the Genocide by German colonial powers in Namibia, annual celebrations to mark Namibia’s independence and other sites like the H.E.S.S. telescopes that measure gamma rays. Furthermore the video material is accompanied by interviews with women dealing with the described topics coming from various backgrounds such as political activism, poetry, music, and theater. The main focus of the piece is on the performativity of monuments and how memory is inscribed and transformed into the present moment. Purge This Land is an essay film centered around the legacy of the radical abolitionist John Brown. The music for the piece was composed by the filmmaker’s partner, Jeff Parker, and references black creative music coming out of Chicago and Detroit in the 1960s. He is also seen at the end of the film, along with the filmmaker’s son. The title of the film is taken from John Brown's letter of 1859: “I…am now quite certain that the crimes of this guilty land will never be purged away but with blood.” Purge This Land weaves an aurally and visually complex texture of echoes and correspondences between Brown’s visionary struggle and the filmmaker’s concerns for the safety of her black child. Karima Al-Gelany is an artist based in Beirut who works primarily with photography, video, and installation. She grew up in Egypt and received a B.A. in Studio Arts from the American University of Beirut in 2018. She has exhibited her work at CUB Gallery and in the 32nd Salon d’Autome at the Sursock Museum. Rana ElNemr is a visual artist based and working with Cairo's art scene and larger urban environment. Her artistic practice moves from formalist explorations of photography as a medium to genre-bending visual essays of her surroundings in Egypt. Her practice is anchored in questioning what it means to live and experience the city, through recording, describing, and reflecting on this experience via photography, film, texts, and conversations. She was one of the founders of the Contemporary Image Collective (CiC) in 2004 and remains an active board member. Maha Maamoun is an artist who works primarily with the mediums of text, photography and video. Her work acts as a lens through which we see familiar images in novel and insightful ways. She does that by making subtle interventions in photographic material that she captures on camera or borrows from various sources. Maha is one of the founding members of the Contemporary Image Collective (CiC), established in Cairo in 2004, and she cofounded the independent publishing platform Kayfa-ta in 2013 with Ala Younis. Born in Oakland, California, Maha lives and works in Cairo. Jasmina Metwaly is a visual artist and filmmaker based in Berlin and Cairo, cofounder of 8784 h project, and a founding member of Mosireen video collective. She works in video and film, and has recently started drawing again. Rooted in performance, theater, and film, her works focus on process-based practices that have a social function generating tension between participants and audiences. She is currently an artist-in-residency at DAAD in Berlin. Heather M. O’Brien is an artist and filmmaker based in Beirut. Her work aims to unravel the contradictions of capitalist desire within domestic space. She received an MFA from California Institute of the Arts, Los Angeles and was a participant in the Creative Practices Program at the International Center of Photography, New York. She has been awarded artist residencies with the Lower Manhattan Cultural Council, Marble House Project, Santa Fe Art institute, and Woodstock Byrdcliffe Guild. From 2017-2019 she is an artist fellow with the Sommerakademie Paul Klee in Bern. Lee Anne Schmitt is a writer and director of essay films and performances, work that exists in the juncture between fiction and documentary. Much of her work involves 16mm filmmaking placed in landscape, objects and the traces of political systems left upon them. Her projects have addressed American exceptionalism, the logic of utility and labor, gestures of kindness and refusal, racial violence, cowboyism, trauma and narrative, and the efficacy of solitude. She is a Film Directing Program Faculty member at the California Institute of the Arts, Los Angeles. Rania Stephan is a filmmaker and artist born and based in Beirut. She graduated with degrees in Cinema Studies from Latrobe University, Melbourne and University of Paris VIII and has worked as an assistant and editor on numerous films. Her films, while crossing genres, display a long-running investigation of certain themes, such as the negotiation of personal and public archives, the relationships between still and moving images, and a focus on what she calls “the archaeology of images, identity, and memory.” Her films and creative documentaries also give a personal perspective on political events. Noor Tannir is a writer born and based in Beirut. She graduated in 2018 from the American University of Beirut with a B.A. in Art History and a minor in Philosophy. Her main curiosities include video art and art criticism. Katrin Winkler is an artist and filmmaker based in Berlin. She works in the fields of expanded cinema, critical research, video, and photography. A recurring theme in her practice is the invisibility and visibility of history and its entanglement with the contemporary moment. She was an assistant at the Katutura Community Art Center, Windhoek, Namibia. She holds a BFA in Photography from the Hochschule München, an MFA in Photography and Media from the California Institute of the Arts, Los Angeles, and was a master student at the Academy of Fine Arts, Leipzig.